We are pleased to announce the publication of Kishio Suga ‘s solo exhibition catalogue “Kishio Suga Intentional Scenic Space”. This volume is published on the occasion of the exhibition “Intentional Scenic Space” at Tomio Koyama Gallery in its former space in Sendagaya, Tokyo (November 14 – December 26, 2015). Art critic, Midori Matsui has contributed her essay titled “The Presence of Things, the Position of People: The Interdependence of Mind and Matter in Kishio Suga’s Artistic Practice” to this exhibition catalogue. In her outstanding text consisting of eight pages, she reflects on the implication of Suga’s solo exhibition in 2015, comprehensively referring to his works and essays from the 60’s to 80’s. On Saturday, June 10 (3 – 5pm), the last day of the current exhibition by Kishio Suga “Divided Orientation of Space” at Tomio Koyama Gallery, we will have a closing party and a book signing event to celebrate the catalogue publication. *Please visit no earlier that 10 minutes in prior as there is no waiting space. 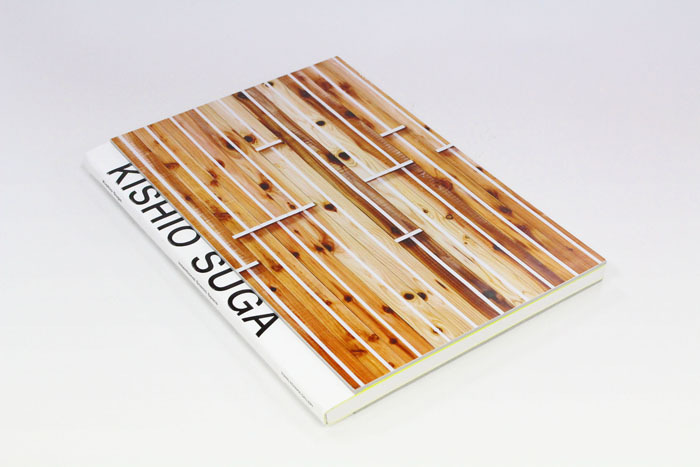 *Signing is limited to the exhibition catalogue of “Kishio Suga Intentional Scenic Space”.